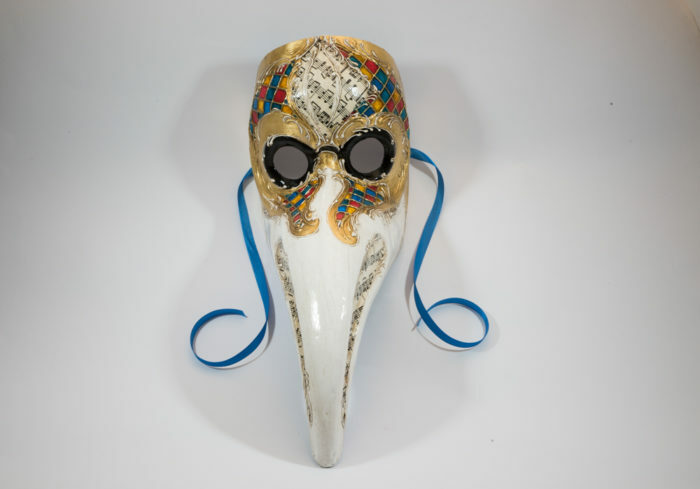 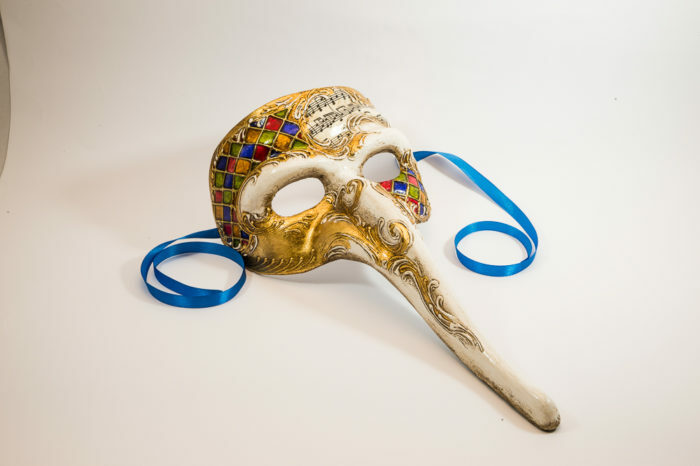 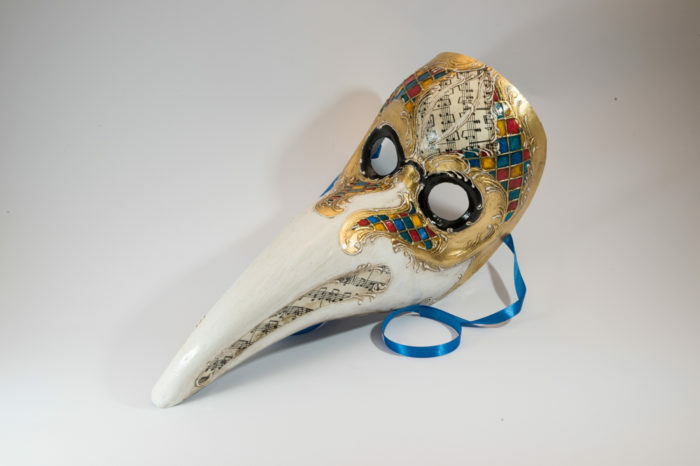 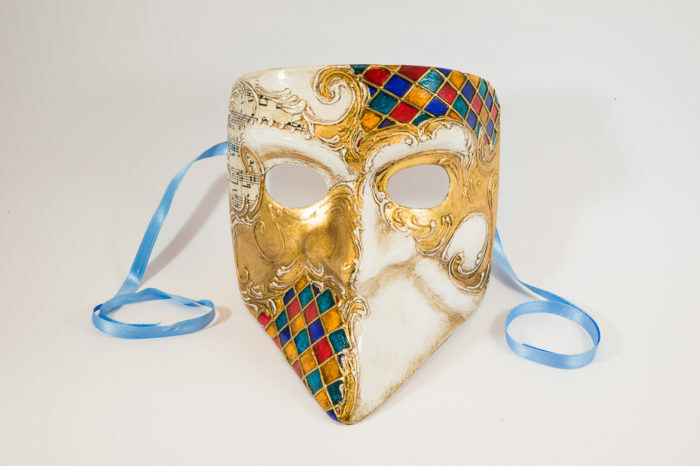 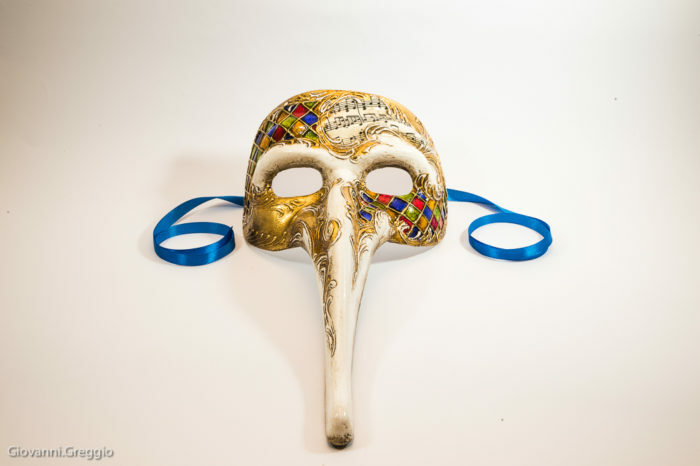 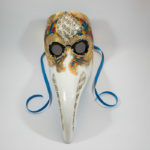 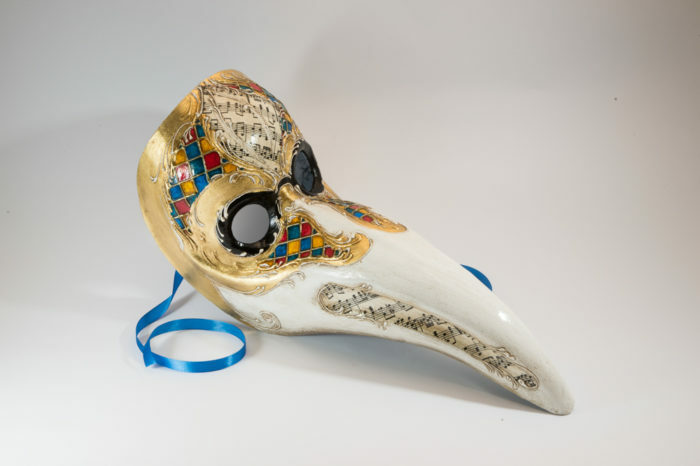 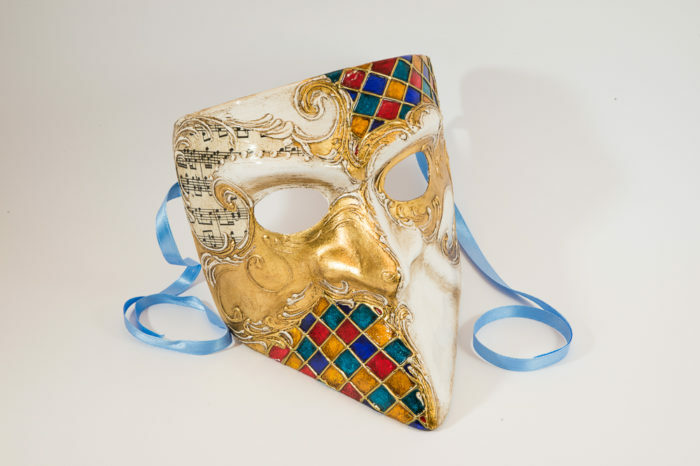 Papier-maché mask entirely decorated by hand with acrylic non-toxic paint, with gold leaf . 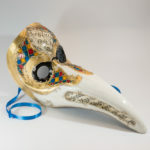 To any purcharse above 5Kg. 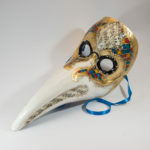 will be applied an extra charge.